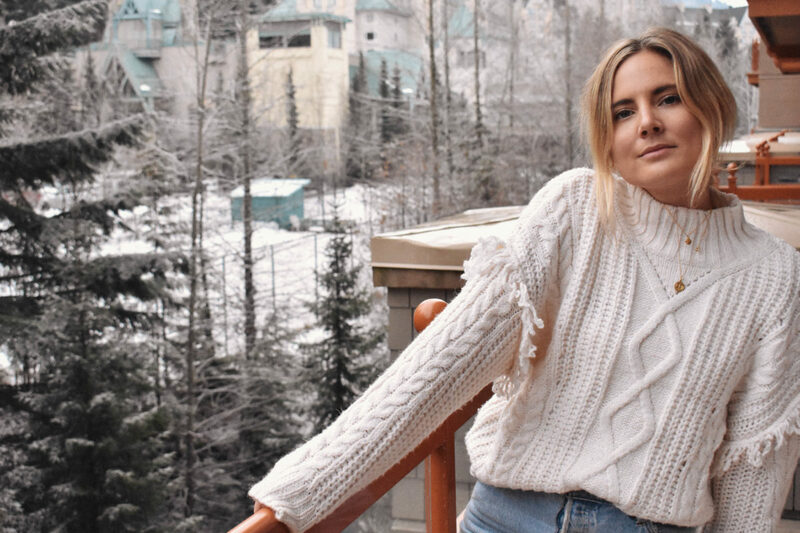 From the view of a phone screen, fashion and travel blogger Lucy Williams’s life looks to be about as perfect as it gets. 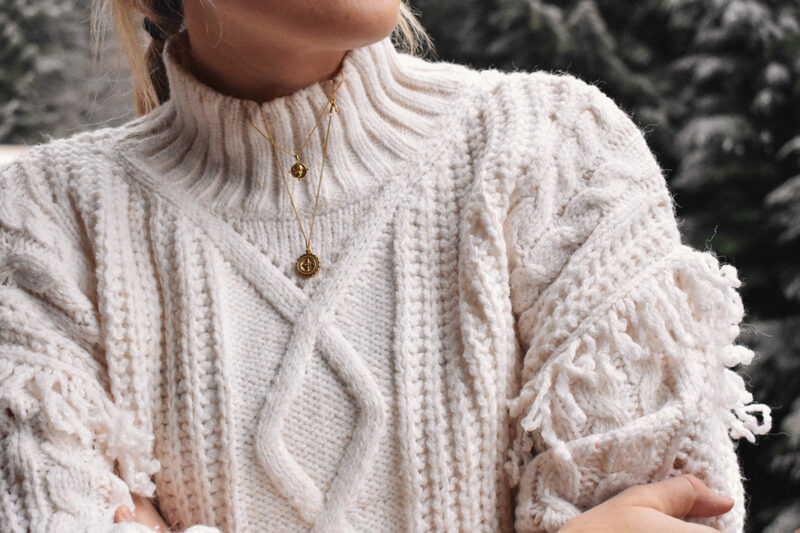 A cursory glance at her social platforms feeds the spectator’s eyes with covetable images of everything from her glowing skin to her chic and simple style—and especially her location tags. 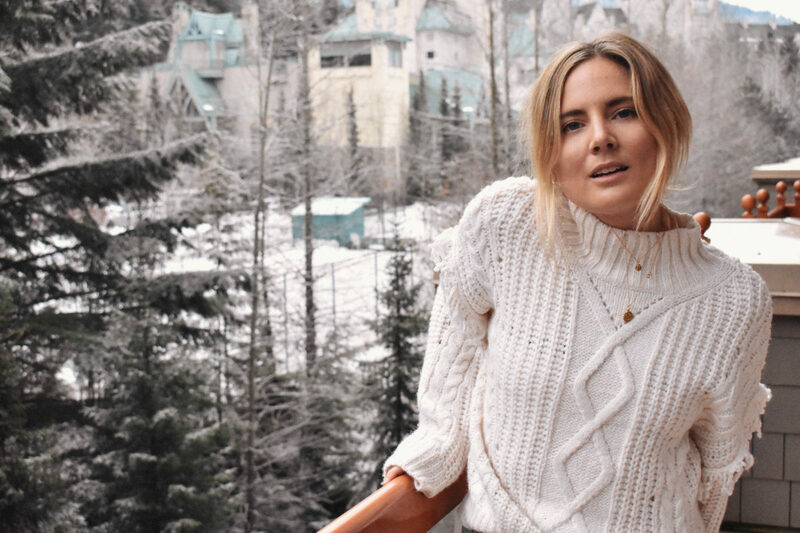 You can travel the world just by looking at Williams’s Instagram, @lucywilliams02, or her blog, Fashion Me Now, which takes you to the snowy mountains of western Canada (where she went with members of the Away team), the jungles and beaches of the Maldives, and the city streets of her hometown, London. Navigating this day-to-day, of course, is not always perfect, even with the dream job and the endless travel opportunity. Read on for how she maintains balance and perspective in spite of her workaholic lifestyle (hint: an eye mask never hurts). I’ve always loved to explore new places and basically made it my mission to make travel part of my job. 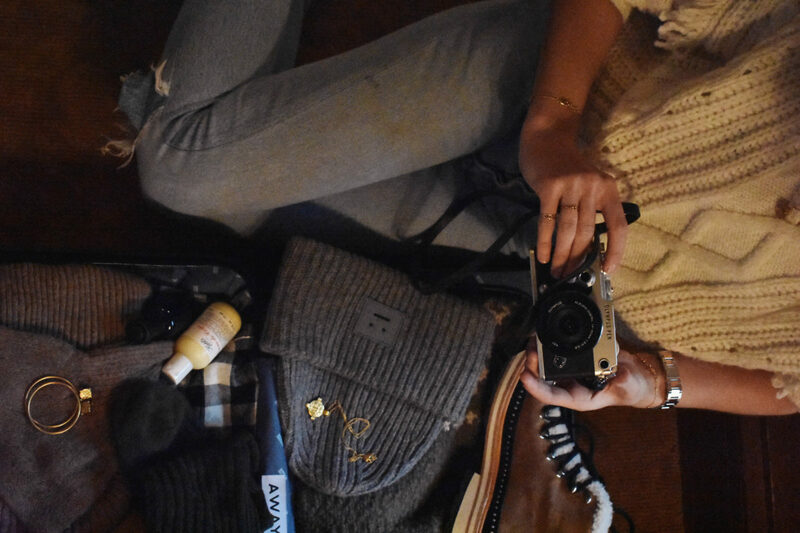 When I first started out, I was working in fashion and traveling as much as I could, beginning to take photos and document trips on my blog. The first couple that I featured were trips to exciting places like India and Mexico. Slowly my blog began to be known for travel as much as all the other stuff, so when I made the leap to work full-time on my website, travel suddenly technically became work (the best kind of work!). Now I have to travel a lot for meetings, shoots, and projects but I still make sure to find the time to do the trips on my personal bucket list when I can. I love those trips because that’s where my blog really found its feet. Even if I’m traveling solely for a work project, I always try to find at least a few hours to walk around and get the feel of a place. They say if you do what you love, you never work a day in your life. In some ways, this definitely feels true. When I’m somewhere amazing, doing something fun (snowmobiling in Whistler!) and get to call it work, I definitely have to pinch myself. But it’s definitely not easy. Working alone in the public domain has its trials and tribulations, and as with anyone running their own business there are pressures, strains, and challenges on a daily basis. I’ve missed a lot of time with family and friends over the years thanks to work but I feel like I’m now at a much more balanced place with it all. Work-life balance is challenging because the two are sometimes so blurred. When the things I love start to feel like a chore, that’s when I know I need to step back and have some down time. I often work late and I’m working on social media and emails even on holidays, but my phone is normally left in my bag when it comes to hanging out with friends or family. It’s the same with anyone who is their own boss, but for me, having the flexibility to work on a Sunday and then go hang out with my nephews on a Monday makes it work. I’ve really learned the positive side of saying “no,” too. That sounds really negative, but I’ve realized that saying no can open the door to more stuff you want to say yes to. Learning what needs turning down is really valuable. It’s not easy all the time but it’s definitely great a lot of the time. I’ll normally wear a t-shirt with a big hoodie or cashmere jumper and either soft, stretchy skinny jeans or loose, khaki trousers depending on what climate I’m heading to. I always take an extra layer, a thick pair of socks and a big scarf to wrap up in as I get freezing in plane air conditioning. I normally finish off with my black leather jacket, too, as it works pretty much everywhere. I recently did a jewelry collection with Missoma, which was inspired by my birthday trip to Rome in April this year. 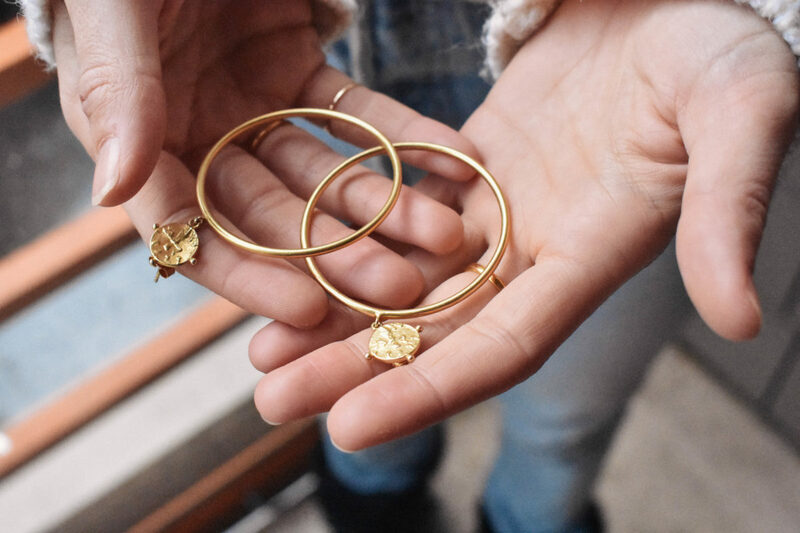 I wanted to make a collection of really wearable Roman coins, hoop earrings, and contemporary signet rings that can be layered with each other and other jewelry. We used little flashes of green malachite, too, which remind me of all the beautiful marble in the Roman churches and museums like Palazzo Altemps. 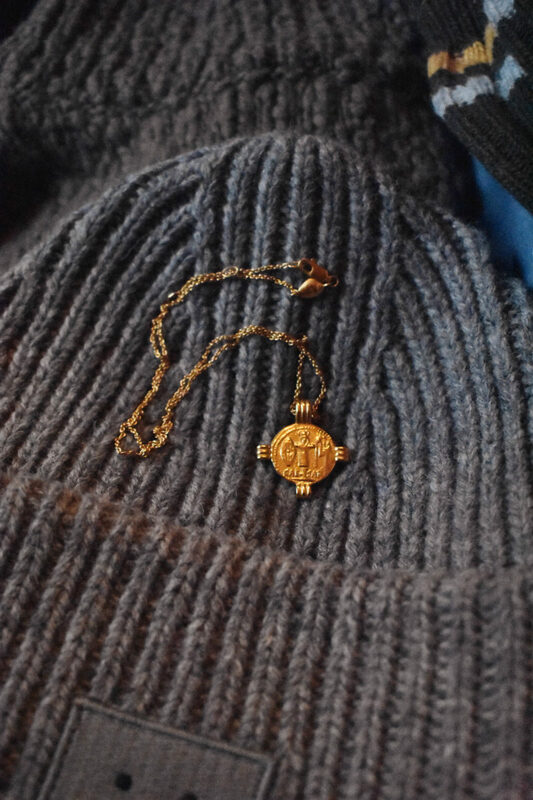 I love collecting and layering jewelry; I’ve been collecting crosses, Saint Christophers, and tiny medallions from markets for years, and wanted the new collection to be the kind of pieces that work with lots of different styles for years to come. No matter my schedule, I’m a skincare obsessive, though I need a routine that’s easy and pretty fast. I cleanse with Glossier Milk Jelly or Avene Lipid Replenishing Cleansing Oil, followed by a good serum like Skinceuticals Vitamin C serum and a simple moisturiser by one of the brands I’ve already mentioned. I try to remember to use SPF 50 Sun Drops by Dr Barbara Sturm as often as I can, too. I don’t think I’ve ever slept in my makeup and would be lost without Micellar water to do it really quickly, no matter how late it is. I use lots of night oils by the likes of Kiehl’s, Pai and Votary, and Estee Lauder (I love their Advanced Night Repair and La Prairie oils). I never dry or style my hair, I just wash and condition (I love the likes of Klorane, Christophe Robin, and Purology), brush through and finish with lots of Liz Earle hair oil on the ends. Makeup-wise I rely on brands like Nars, RMS, and Glossier and just keep it super simple with a tinted moisturizer, brows and a bit of color on my cheeks. When I’m traveling specifically, I don’t do big beauty routines or masks on flights but I do moisturize pretty religiously. 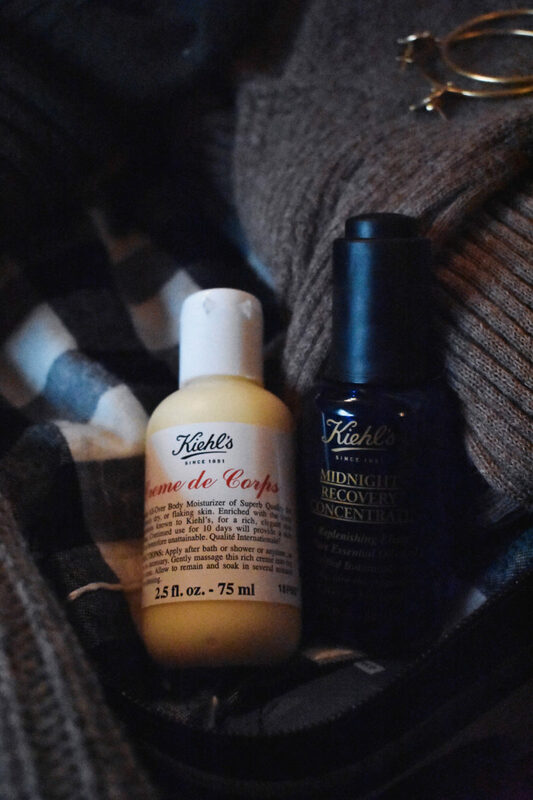 To stay fresh on the really long flights, I always remind myself to drink lots and lots of water, bring a good facial spray, moisturizer, lip balm, chewing gum, and my Kiehl’s First Class Purifying Hand Cream, which is my new favorite thing. I always put my hair up in a loose top knots to stop it getting greasy and used Nars Multiple in Alice to add a bit of color to my cheeks and lips just before I get off if I’m looking super tired. 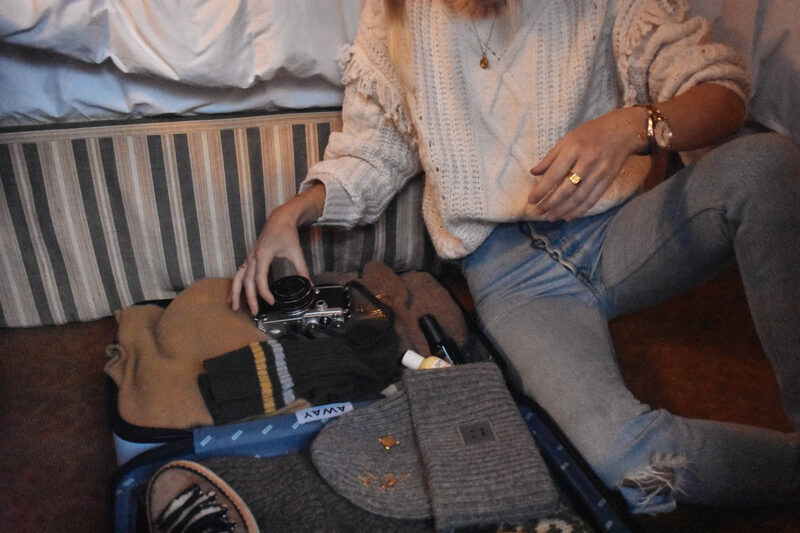 My career in fashion has definitely allowed me to travel a lot, considering all the travel I do with brands. I work on shoots with brands everywhere from Tulum and Rajasthan to New York and Paris. It’s what I do so I wouldn’t have had half the opportunities I’ve had if it wasn’t for fashion. 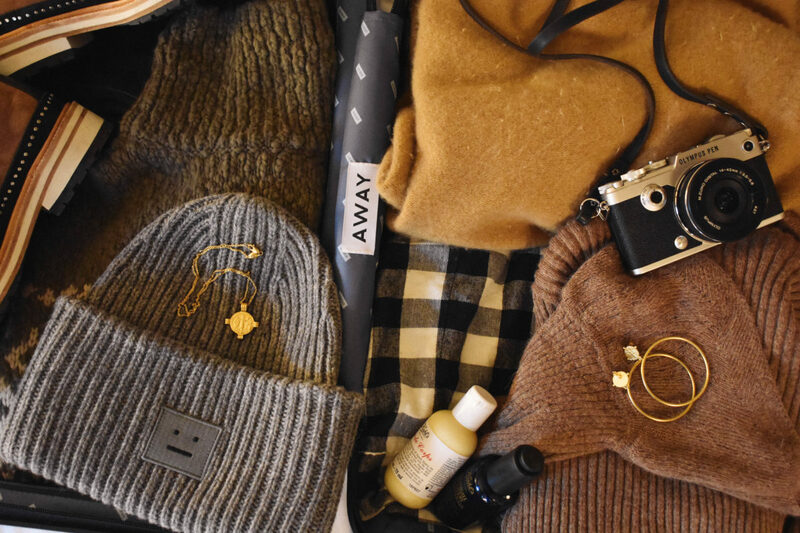 When I am traveling, I actually tend to avoid regular shopping but I love going to markets and local boutiques to find stuff I can’t find anywhere else that’s synonymous with where I am. I always find the question of “What is your favorite place that you’ve been?” so hard to answer as there are so many favorites. I really love Mexico and want to see a lot more of it. Last year I went to Kenya and Botswana and have a real love affair with Africa ever since I spent six months living in Uganda many moons ago. I recently did an amazing trip to the U.S., traveling from Wyoming to Arizona and Utah and finishing in Colorado. It was insane and definitely gave me the bug for American road trips.